YEC (Youth Exchange Center) is available to assist students, parents, and university faculty and advisors throughout the study abroad process, from choosing the appropriate program for your level and interest to completing the application process and participating successfully in the study abroad experience. In addition to our YEC team in the U.S, who are committed to maximizing each student’s study abroad experience, both academically and culturally. One of the first impressions that we hope students will have of YEC is our service-oriented attitude towards study abroad. We are here to help each student throughout the entire study abroad process. From a student’s initial contact with an YEC representative, we hope that he or she will quickly realize how important each individual is to us. We take each student’s requests very seriously, and we are able to be flexible in order to meet his or her specific needs. YEC believes that by studying abroad, students not only witness another culture, but they also experience the culture by living a new way of life. Students encounter people from all walks of life with whom they are able to make a connection, whether through similar interests, a shared laugh, or even a long bus ride. We hope that students will gain a cultural understanding and personal independence that can only be achieved by living and studying in another country. Moreover, we hope that students will continue to reap the benefits of study abroad by encouraging cultural understanding in their own communities. We recognize that this enlightening experience is becoming an increasingly precious asset as we encourage all to become sensitive, responsible and contributing members of today’s expanding global community. 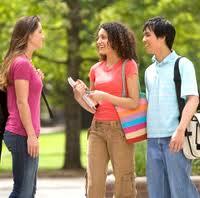 YEC mission is to provide high quality education abroad study opportunities to students at an affordable price. We recognize that we play an important role in the worldwide effort of international educators to increase awareness of cultures and societies outside of each student’s national boundaries. Our programs are designed to maximize our participants’ learning abroad, and we understand that most college students need support and expert guidance before, during and after their time abroad.